Northern Illinois University School of Theatre and Dance’s upcoming production of “A Song for Coretta,” written by Pearl Cleage, is a timeless piece that brings women from different walks of life together to honor Coretta Scott King, a woman who impacted all of their lives. This relatable show will open Thursday, Feb. 16, in the Diversions Lounge at the Holmes Student Center. Written and first performed in 2008, “A Song for Coretta” tells the story of five women of different ages waiting to pay their respects outside the wake for the legendary Coretta Scott King. The story starts with college student and aspiring reporter Zora Evans interviewing people about the reasons they are at King’s wake. Through the interviews, you get the story of five women who have unique stories to tell, whether or not they knew Scott King. “All of these women are strangers but they all have this one thing in common: her,” said Taylor Green, who plays the part of Helen Richards. 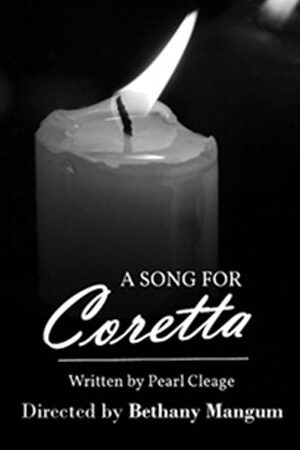 “A Song for Coretta” addresses many issues that are at the forefront of the public mind today. “Being so close to our current political status as a country, especially with women, this play encompasses the struggle that women have always fought and still fight, but we have chosen to fight it in a positive way,” director Bethany Mangum said. “It’s a story that’s prominent for today. It’s a story worth telling,” said Sonjanae Ashford, who plays Zora Evans. Show times start at 7:30 p.m., Thursday through Saturday and 2 p.m. on Sunday. Tickets are $7. For ticket reservations or additional information, contact the NIU School of Theatre and Dance box office at 815-753-1600 or www.niu.edu/theatre/.